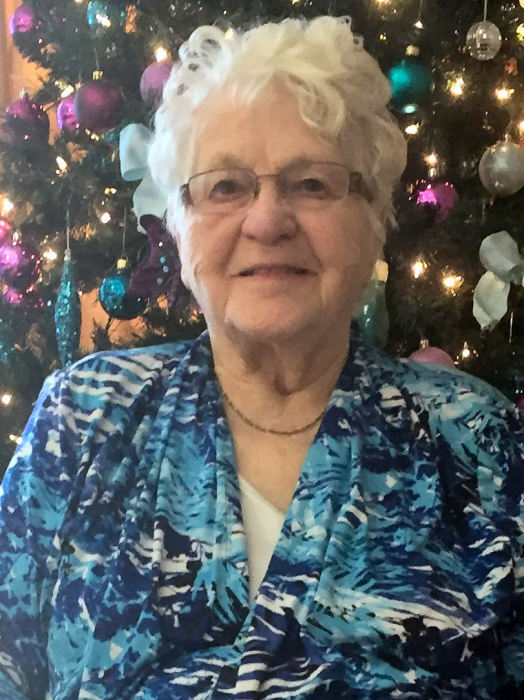 Obituary for Annette Cecile Goebel | Westlock Funeral Home & Crematorium Ltd.
On March 18th, 2019 Annette Goebel of Westlock, AB passed away at the age of 89 years. She is survived by her 7 sons, Laurent St. Louis (Brenda) of Nanton, AB, Marcel St. Louis (Janis) of Osoyoos, BC, Dellard St. Louis (Dianne) of Leduc, AB, Mitch St. Louis (Deb) of Sherwood Park, AB, Leo St. Louis (Judy) of Westbank, BC, Claude St. Louis (Coralee) of Saskatoon, SK and Emile St. Louis (Donna) of Drayton Valley, AB; her 2 daughters Suzanne Prefontaine (George) of Legal, AB and Rochelle Hopkins (Mark) of Edmonton, AB; 29 grandchildren and 37 great grandchildren; 3 sisters Marie Gratton, Pauline Painchaud and Alice Gregoire; 2 brothers Armand Paquette and Leo Paquette, as well as many other relatives and friends. She was predeceased by her first husband Benoit St. Louis and her second husband Robert Goebel; her parents Albert and Delia Paquette; sisters Theresa White, Lucienne Wright and Yvonne Paquette, Cecile Kane and her brother Adelard Paquette. A Funeral Service will be held on Saturday, April 13th, 2019 at 11:00 a.m. at St. Mary’s Roman Catholic Church in Westlock, AB with Father Ambrose Umeohanna smmm officiating with interment in the Church Cemetery. Donations gratefully accepted to the AHS Westlock Continuing Care Centre 2nd Floor.